Why do we fear God’s love so much? It’s so easy for us to point out the sins of our brothers and sisters, so effortless to gossip about this one’s failings, that group’s lifestyle, another one’s fall from grace. So uncomplicated to express our self-righteous opinions on a red cup, a God-given right (when it’s my right, not yours), or the plight of refugees. Why is it so difficult for us to accept God’s unconditional love? To really understand why His grace is called amazing? To accept Jesus invites everyone to the table, even those we’d rather not eat beside? Because it makes us vulnerable. Because it may bring us to our knees. Because maybe we’ll discover God’s will is not our will. Because it may overflow the empty parts of our hearts with so much love the only choice left to us will be to give it away. 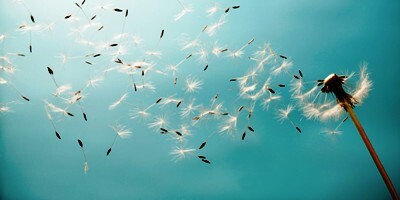 Because maybe, just maybe, we’re afraid we’ll become diaphanous, like a dandelion blown away in the wind. Here’s the thing about dandelions. Because of the way God created them, they’re strong. Useful. Ubiquitous. 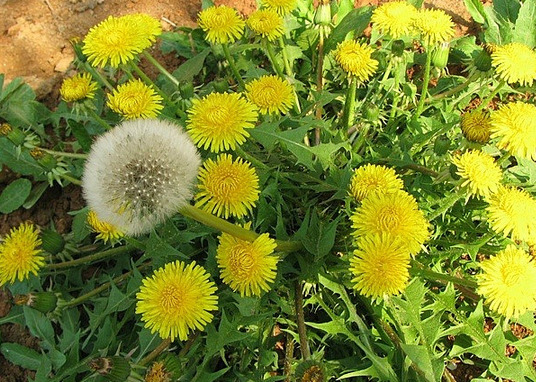 When they go to seed, they are naturally designed to create other dandelions. The wind takes those seeds and carries them to faraway places – places they wouldn’t otherwise be able to travel on their own. “The wind blows where it chooses, and you hear the sound of it, but you do not know where it comes from or where it goes. So it is with everyone who is born of the Spirit.” (John 3:8). I know the gospel and I experience grace, but I can still fall into the trap to “perform” for God as if I have to earn his undeserved favor. Thank God for His unconditional love that reminds us as we fill up with His love, we can freely pour it out! And yes, in those quiet moments I allow myself with my Father, I’m reminded how much His love permeates my being; how very much He loves me for who I am, not what I do; how far His grace and mercy reaches into my heart. I am undeserving because of what I do, yet deserving because of who He is. Ah….diaphanous…what a lovely, tricky little word. 🙂 It speaks volumes about vulnerability. I love it! Yes, blow us away…and around, Lord! Note ain’t that the truth. I surrender Lord. For me, I think a lot of it was nurture. “God is gonna get you for that.” He was a god that demanded perfection. That destroyed a lot of people. I think so too, Susan. Fortunately, more people are getting to know the true God – the God of Love. The more we can all spread the true Gospel, the more will come to know Him and enjoy His embrace.